Jalandhar: To promote the advancements in Biotechnology, Punjab State Council for Science & Technology (PSCST) organised, today, 19th ‘Popular Biotechnology Lecture Series’ at Lovely Professional University. Under the support of Department of Biotechnology of Government of India (DBT-GOI), LPU and PSCST collaborated for important lectures on the theme of ‘Recent advances in bioremediation to combat environmental pollution’. About 300 students & faculty members of life sciences disciplines from various colleges of the region attended the ‘series’. 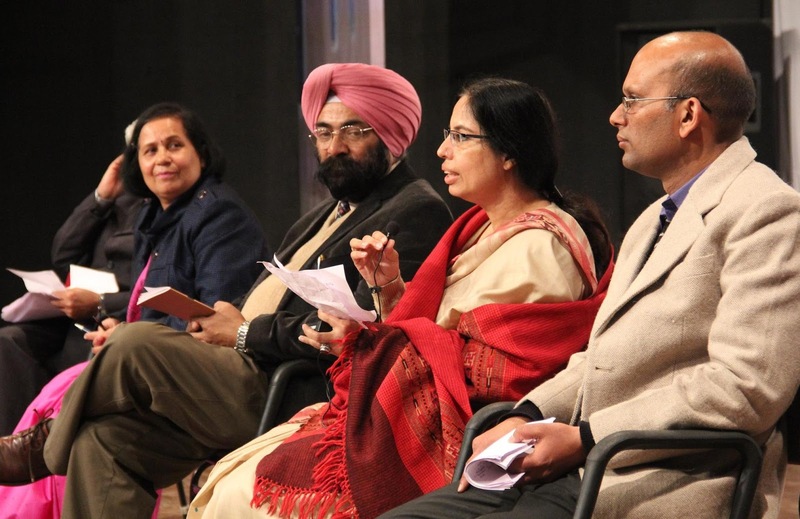 Speaking on the occasion, Dr. Jatinder Kaur Arora, Additional Director, PSCST gave an overview of developments in biotechnology sector as well in the area of bioremediation. Dr. Swaranjit Singh, Head, Department of Environmental Biotechnology & Microbial Biochemistry, Institute of Microbial Technology Chandigarh, elucidated recent trends and role of Biosurfactants in Bioremediation. Dr Neelam Verma, Professor, Department of Biotechnology, Punjabi University Patiala, spoke on bioremediation of Xenobiotics & heavy metals. The lectures were followed by elaborate question- answer session, which was specifically very useful for final year students, who would be entering the professional world soon. A booklet providing comprehensive information on bioremediation, published by PSCST, was also released. Great to see Dr, Jatinder, Kaur, Arora, at, Gr8!, Women, Achievers, Awards, 2010.